SDHC vs SDXC. Which SD Card is better for you? SDHC vs SDXC.Which SD Card is better for you? SDHC stands for “Secure Digital High Capacity”, SHXC stands for “Secure Digital eXtended Capacity”. From the names only you can tell the main difference in all three i.e. storage capacity. 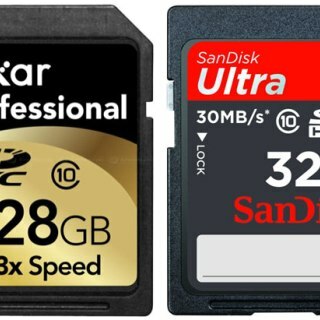 SDHC cards offer between 4GB to 32GB and SDXC offers more than 32GB.But real SDHC vs SDXC concept is here.So read this to know about it. Let’s take an example of Lexar Professional SDXC card of 128 GB with 133-speed class-10 If this was an SDHC card then the only difference you would see between them that with this speed SDHC will be possibly of only 32 GB.This is the difference because of the file system that used on the cards,SDXC cards use exFAT that is a Microsoft Filesystem while SDHC cards use the non-proprietary FAT32 system. Also Read: Why we need GPU? Comparing CPU & GPU.CPU vs GPU. The problem with FAT32 is that it doesn’t support some of the large drive sizes and it doesn’t support large files on the drive,so you can only have 4 GB file limit in FAT32. SDHC vs SDXC: Which is best for you? Also Read: 2.4 GHz vs 5 GHz.Which is best standard for your WiFi? Before buying anyone of them,you should know the compatibility of your device that which format,SDHC or SDXC works on your device.If both works then read further. There are many things to consider, but once you understand things like speed, specs, and all of the other issues, it becomes much easier to narrow down your options and make a choice. Must Read: How to update Safari on Mac? 4 steps. Previous articleHow to update Safari on Mac? 4 steps. Next articleHow to make my phone faster?.3 best Methods for this.